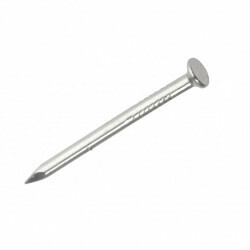 Masonry Nails are designed for use in brick, concrete and concrete blocks. Driving nails into masonry requires more force than driving into wood, so an ordinary hammer may not be adequate. Our masonary nails are Bright Zinc Plated and corrosion resistant. Use the filter to the left to help narrow down your search for the finest masonry nails. There are only 124 of this item in stock.